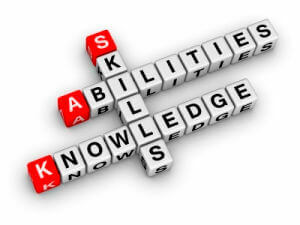 Skills management in ICT industry for individuals, projects and businesses. Review skills already mastered and skills required. Create 2 custom documents for export. When you are finished save the custom created text boxes as CSV files for later use. Press start button to start on first skill and clear results text. Read the skill and description. Does it relate to you? If not, click Next. Read the skill level descriptions. What level in the skill can you operate at now? Check the skill mastered levels that apply. Do you wish to gain this skill or operate at higher levels? Check the skill desired levels that apply. Any comments are also included in the results. Click Next. Your selections are copied into the result Lists. The next skill information is loaded. At the end of the skills the title changes to Skills review finished and the Next Skill button is disabled. Copy out the Result List text boxes are described below. Press button to see next skill. Current skill selections and comments (if any) are saved to result Lists. Mastered skill name, skill description, selected skill levels and comments are saved here. Desired skill name, skill description, selected skill levels and comments are saved here. Add the skills into your resume. Add the skills into your Linked In profile if applicable. Confirm a project has all the appropriate skills covered. Business and government are already using SFIA. Work business to business using the same skills language. Australian Computer Society Over 20,000 members with ICT skills. Members provided professional development in current ICT.